Imagine if someone were to go around stealing letters from words one at a time. Just think of the confusion that would arise if the letter “C” were stolen from a chair, and you had only “hair”, or if the letter “A” were stolen from the word fair, and it suddenly became a “fir” instead. The Alphabet Thief, written by Bill Richardson and illustrated by Roxanna Bikadoroff, is a wonderfully whimsical book in which a masked bandit runs amok with his letter-stealing antics. 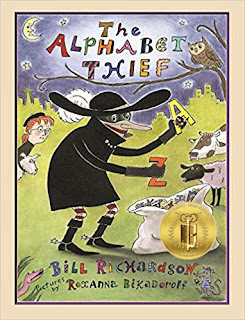 Brace yourself for the laughter that will surely arise as children discover the changes caused by the omission of a single letter when the letter thief is in town. This book is an excellent selection for children who have a firm grasp on reading basic words. 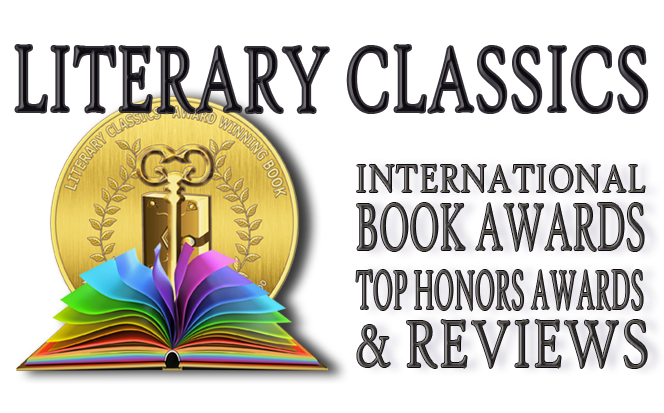 Recommended for home and school libraries, The Alphabet Thief has earned the Literary Classics Seal of Approval.